The InterClub Class is saddened to hear that Stanley P. Bell, Life Member of the Larchmont Yacht Club, past Vice Commodore of the Storm Trysail Club and past member of the New York Yacht Club passed away quietly Monday afternoon, November 26, 2001. While many of us didn’t know him well, we admired him very much. It was obvious when interacting with Stanley that he possessed management and interpersonal skills of the highest caliber. He was always friendly and approachable, and Stanley’s dedication to the IC Class has been the inspiration for many of us to keep the class going. He was a great man who created an amazing legacy. Stanley Bell tied together several eras of yacht racing in America. Starting as a boy he crewed for Arthur Knapp in IC dinghies in the early years of frostbite racing on Long Island Sound. He crewed for both Knapp and Jack Sutphen in larger boats and captured an extensive collection of hardware as a junior crowned by the 1948 Sear’s Cup as top Junior on Long Island Sound. 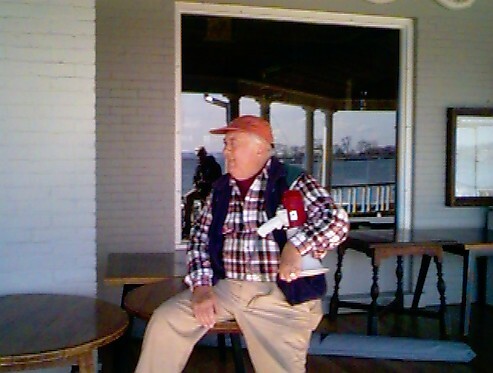 Stanley moved onto the LYC Winter Race Committee in 1954, assisting his father Clinton. In 1980 Stanley took over the Winter Committee and has been running it ever since. His race management accomplishments include the 1988 International Dinghy Team Regatta and the 1990 and 1996 IC Nationals – each of which included over 70 competing boats – the 1999 IC MidWinters and the IC Midsummers from 1995-97. In between these many headline events, Bell managed 21 seasons of Winter Racing at Larchmont with the same attention to detail that he gave to Championship Regattas. Each season resulted in 100-150 races with an average fleet of 25-30 boats. Stanley earned a reputation for going the extra distance to get racers a square course, without making them mill around waiting on cold winter days. In early 2000, Stanley was awarded US Sailings John H. Gardiner, Jr. Trophy for his lifetime of service to one design sailing through the IC Dinghy class. In addition to his winter racing duties, Stanley was always in demand for race committee work. He served on the Storm Trysail Block Island Race and Block Island Race Week Committees as well as on the Club’s Key West – Baltimore Race Committee. He regularly ran major dinghy and one design races for Larchmont and other Clubs in classes as diverse as Optimists, Vanguards, Shields and Etchells. Winters on Long Island Sound will never be quite the same again.